I have a few rituals for when I get into a rut with food. When I can’t think of what to cook any more, I sit down surrounded by my favorite cookbooks, and make lists. When I can’t think of what to write anymore, I read M.F.K. Fisher. For me, her writing is comforting. Like a stand-by recipe you know will turn out perfectly every time, but each time you cook it, it surprises you with new complexity. A new taste or thought. A new memory. Or a new connection. Mary Frances Kennedy (M.F.K) Fisher, is generally considered one of the founders of modern food writing. For me, she is the ultimate authority. Now, lest we ignore our predecessors, there has been food writing for millenia. The Greeks, the Romans, the Egyptians, they certainly knew how to throw a party, and enjoy their food and drink. But somehow, in the past several hundred years, there has been a drought of evocative food writing. The genre suffered a long spell of being largely prescriptive and dry. Either you were writing about how to give dubious elixirs to invalids, or you were giving technical details about mother sauces. Stray from these directions and you would be swiftly smote by the culinary deities. There wasn’t much more than that. 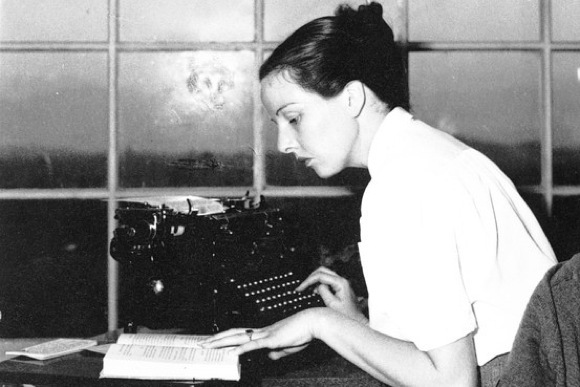 M.F.K Fisher was radically different. She wrote about food from the perspective of someone who passionately loved eating food. She wrote about indulging, traveling for food, taste, dreaming about food. She was blunt, exceedingly witty, and intelligent. How many food writers are expansive enough that their quotes fit seamlessly into Roger Ebert’s film reviews? Reading her writing, I’m always reminded of F.Scott Fitzgerald in tone and style – except instead of writing about disaffected wealthy people, she writes about quelling her own hunger, which is a much more interesting topic. She wasn’t a professional chef (and some of the recipes in her early books were slightly off), but boy could she conjure up a taste memory. And that’s what modern food writing is about. Good food writing, that is. Fisher’s writing is about thinking about food, not from a technical standpoint, but a heartfelt one. If you are interested in improving your writing, M.F.K. Fisher is a good place to start. Almost all the food writing I love and devour – the books, blogs, gushing articles in Saveur, even Ruth Reichl’s dream-like food tweets “Silver sky. Breezy. Cooler. Tiny red new potatoes gently roasted. Shower of salt, sweet green garlic. Soft, savory. Irresistible.” which spawned ½ of @RuthBourdain’s satirical tweets: “El Bulli just served its last dinner. Sources tell me Ferran shut off the lights in the middle of dessert and played “Don’t Stop Believin’.” – is indebted to M.F.K. Fisher. I could spend my time writing about M.F.K. Fisher ad nauseum, but this post is actually about Anne Zimmerman, whose biography of Fisher’s early life came out this year. I met Anne a few years ago soon after I moved to San Francisco. She was finishing a book about the aforementioned food writer, Fisher, and I was managing a bookstore that specialized in books on food. I’m truly in awe of anyone writing a book, but Anne seemed particularly sweet and humble about it. I knew within about five minutes of meeting her that I would enjoy her writing. 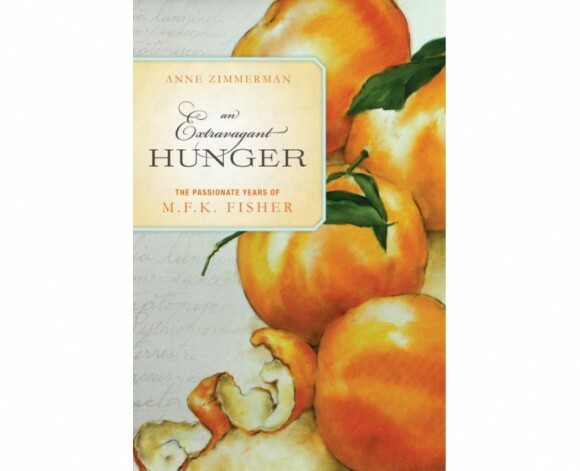 Anne Zimmerman’s “An Extravagant Hunger” relates the story of M.F.K. Fisher’s fascinating rise to fame and prominence. Beyond her writing, Fisher was a riveting persona. By gathering details from her personal correspondence and papers, Anne brings to us the woman behind the writing, and it is easy to see Anne’s admiration of her subject in the text. A dramatic life, rife with tumultuous romance, passion and creativity, the food writing iconoclast is truly a phenomenal character. There is no doubt that Fisher was a brilliant and talented young woman, however she didn’t hit her stride until her early thirties when her first book was published. From then on, she was incredibly prolific. She penned more than 30 books about food, and countless articles, as well as the best translation of Brillat Savarin’s ‘The Physiology of Taste’. For all of us writers who have yet to publish our first book, it is encouraging to read about the meandering path it takes to be a true renaissance woman. And if you need to get started on Fisher – I’d go ahead and recommend ‘The Art of Eating‘ which is a compilation of some of her best work. I loved this book and learning more about MFK. Anne does a terrific job digging deep into the most influential years of her life. Thank you Sam + Traca! Glad you like the book.